Ruby Zell Sutton, a native of Kinston, North Carolina is the third of five children born to the late Stephen and Mozelle Sutton. Her early education was completed at Savannah Elementary and High School where she sang in the chorus and played basketball while maintaining membership in the Honor Society. In 1965 she received a Bachelor of Science Degree in Physical Education from North Carolina College (North Carolina Central University) in Durham, North Carolina. Drs. Lavonna Allison, the late Leroy Walker and Allen Weatherford were influential mentors in her undergraduate matriculation. After graduation Ruby relocated to Wilmington, North Carolina where she began her teaching career at Williston Senior High School as a physical education teacher. She remained there until the school was officially closed in June of 1968. Further teaching assignments included Noble Junior High School, 1968-1973 where she was the cheerleading coach. Ruby’s next teaching assignment was at D. C. Virgo Ninth Grade Center, 1974-1977. 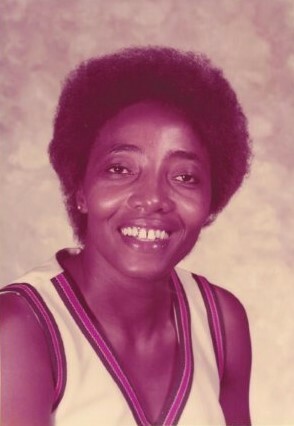 During Ruby’s tenure at D. C. Virgo she coached basketball and track and field. Her next school assignment was at E. A. Laney High School from 1977-2018. Laney became her home for the next 41 years. During this 41 year tenure, she coached basketball, cheerleading, softball, boys’ and girls’ tennis and volleyball. During her fifty-two years in education she made positive and significant impact on thousands of students as a coach and teacher. Many of her former students and athletes have distinguished themselves in a variety of professions and are known nationally and internationally. Ruby’s tennis career garnered an impressive 346-135 record, she won 5 Mid-East Conference Championship and was voted Coach of the Year 4 times. In volleyball here career record is 531-218. She was voted 3 times Coach of the Year, won 5 Mid-East Conference Championships, the 1996 Regional Volleyball Championship and the 1996 State Volleyball Runner-up. Throughout her career, Ruby received many awards and recognition including Outstanding Service and Dedication from the E. A. Laney Guidance Department. In 1996 Ruby was voted Walt Disney National Physical Education Teacher of the year. Other awards included NC Association of Athletics, Health, Physical Education Teacher of the Year, Sen-ABSE National and State Honoree as a Physical Education Teacher, the Saul Bachner Secondary Mentoring Award, NCSAA Homer Thompson Memorial Eight Who Make a Difference and NCHAA – 100 Coaches to Remember. In 2012 Ruby received a Basketball/Volleyball Court Dedication at E. A. Laney and was inducted into the E. A. Laney Athletic Hall of Fame in 2013.